Answer: This is an old rumor, and it surfaces around this time every year. To be honest, I really have no idea how it got started. So the answer to your question is a most emphatic NO. You could balance an egg with no more or less difficulty than on any other day of the year. 1. The Sun rises at 6 am exactly in the East. 2. The Sun sets at 6 pm exactly in the West. Well, not exactly exactly, but close enough for our purposes here. 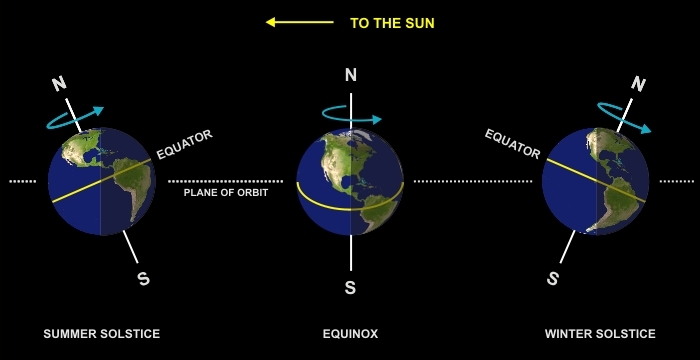 On other days of the year, the Sun rises and sets north or south of East and West, depending on the season. Also, the number of hours of daylight will be more or less than the hours of night in 24 hour day. Say, 18 hours of daylight and 6 hours of night. Perhaps this special Equinox geometry provoked the egg balancing rumor — that, and the fact that Easter is around this time of year. Then again, maybe it has something to do with the astrological sign of the egg.